Nitro Harley Top Fuel pilot Mike Beland will race in all the 2016 MANCUP races sponsored by Shield Bright, of West Palm Beach, Florida. Mike has inked a deal with Shield Bright and will pilot DJ’s T/F bike for all five of the MANCUP racing this season. 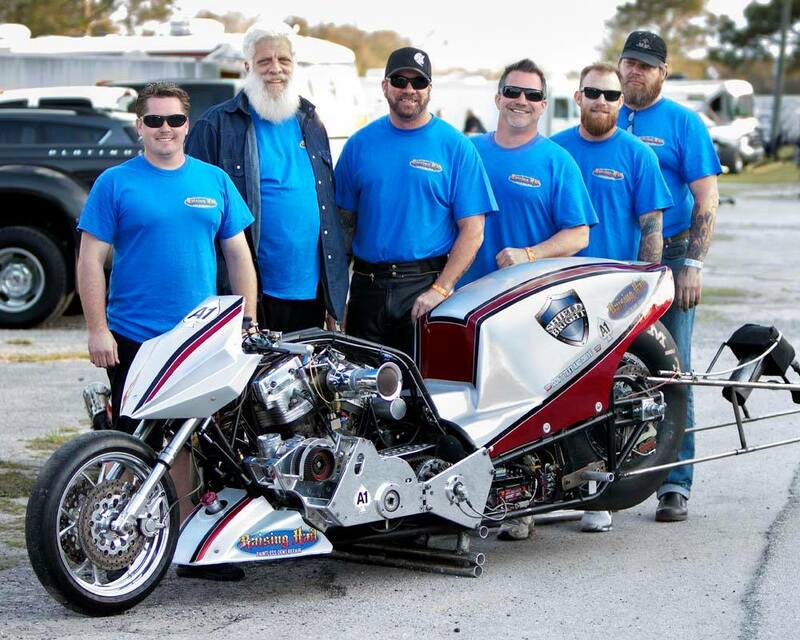 Shield Bright LLC,a cutting-edge bike restoration and protective coating company, is proud to be the primary sponsor of the team for the 2016 racing season. Luis Espin, owner and operator of the Florida-based company, is thrilled to be a part of the lightning-fast and exciting events. He points out that Shield Bright is exciting, like this top fuel racing team. Shield Bright has completely redefined the industry standards, in regards to the services that they provide for all vehicles (bikes, RVs, classic cars, exotic cars, boats, and airplanes) since joining the industry in 2009. Originally developed for the aerospace industry to protect and enhance the paint on aircraft, the Flight Shield product line was recently reformulated to also cover bikes, cars and boats. Their #1 nano-ceramic glass coating is worry-free product that you use on your ride – save time washing…. never wax again…and never fade or rust – guaranteed! Our nationwide network of authorized applicators are specially trained and ready to shield your car against common environmental exposure such as Sun UV Damage, Saltwater, light scratches from road debris, love bugs, tree sap, industrial fall-out, bird droppings, and oxidation.